Home of Professional Jamaicans for Jamaica, Inc.
We are inspired by our own experiences to fulfill the mission of being a vehicle of change in the education sector. Our goal is to identify talent and support students throughout their educational development. Thank you for visiting the Home of Professional Jamaicans for Jamaica, Inc., a legally registered non-profit organization created to help under-served children with their educational needs. We hope that as you tour our website, you will get an insight of our mission; to address the educational development of children and build leaders who will shape the future of our nation, with an unfaltering commitment to inspire the same in others. Learn more about our scholarship program, breakfast program, adolescent girls program, and backpack project which were designed to uplift children from poor communities in Jamaica. Find out how you can contribute to one of these programs which will make a difference in the lives of our children and ensure they complete their education development. Also, we have created a friendly and professional environment on ﻿Facebook﻿ which will allow you and others to share ideas with us and to address critical issues that adversely affects the education sector of our nation. Professional Jamaicans for Jamaica, Inc. is now positioned in the right direction to make meaningful contributions to the education sector in Jamaica, which will require a collaborative effort to ensure our continued success. We are cognizant that this will not be easy, with a long-term goal that implies that we will succeed when we factor in our nation's most famous quote that Ev'ry Likkle Mek A Muckle. 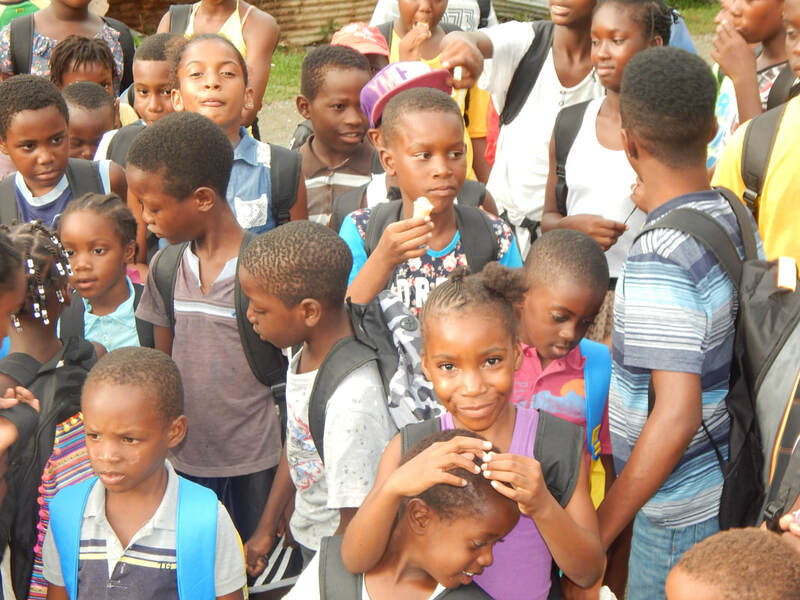 The Operation Backpack Drive is a charitable initiative where people donate to provide backpacks and basic school supplies to Jamaican children. This initiative seeks your help as we continue to make positive contributions to the educational development of the most vulnerable members of our society; children. Scholarships are an excellent way for students to obtain much-needed money to offset the high cost of tuition, textbooks, and other education costs. Hence, we are challenging students in Jamaica to apply for one of our scholarship. Our scholarships are in the form of an essay competition.